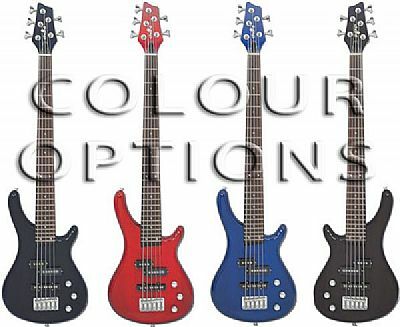 The Chord CCB95 5-string bass guitar - ideal for a wide range of modern genres and playing styles requiring extended range down to low B. Other colours available: Red or Black. Left-handed 5 String bass guitar version available in Black.